The Carleton Chemistry Alumni Lecture will play an important role in providing experiential learning opportunities for students. Teaching students how to be effective seminar presenters is the main goal of the Chemistry Department’s two-term seminar course which incorporates the Department’s seminar series into its curriculum. The course teaches the tools for effective scientific presentation, which is a student’s benchmark for being an effective communicator. By being in the audience to observe an established professional give a scientific presentation, students can experience the styles and methods that create effective communication. Speakers can be from academics, government and industry, which creates an unmatched breadth of experience for our students. 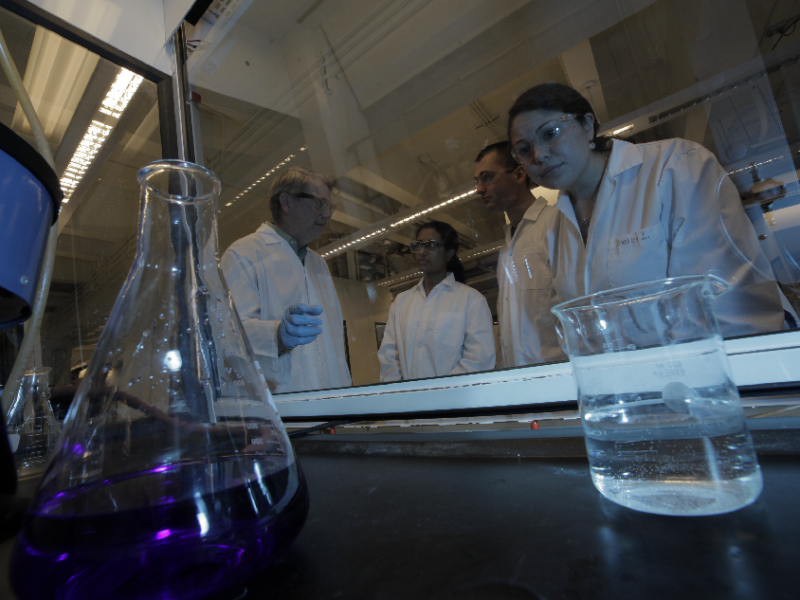 The Carleton Chemistry Alumni Lecture will be a part of the Department’s lecture series and will allow the department to invite prominent speakers from around the world. Through your generous support, we hope to raise enough funds so that the Carleton Chemistry Alumni Lecture series can become endowed, and continue to benefit students for years to come. This will increase the reputation of the Chemistry Department and enhance the research activity of the department. Faculty and students will be exposed to leading-edge science, resulting in novel research ideas and collaborations. There is great science being done at Carleton and bringing international scientists to Carleton will increase our international reputation. Your support will have a powerful impact on creating collaborations and exchanges to the benefit of faculty and students of our campus!